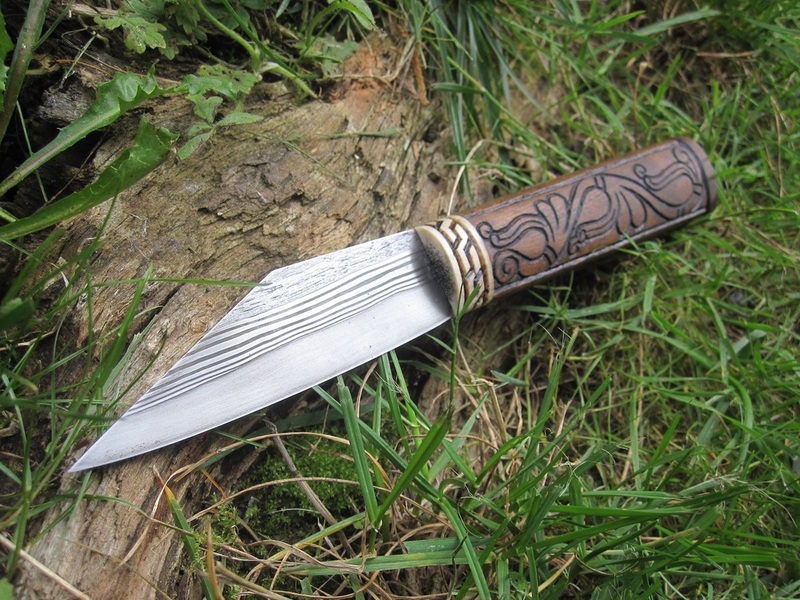 I have this seax for sale - the blade is composed of wrought iron, 13 layers of 15n20 and C80 and tool steel for the edge. 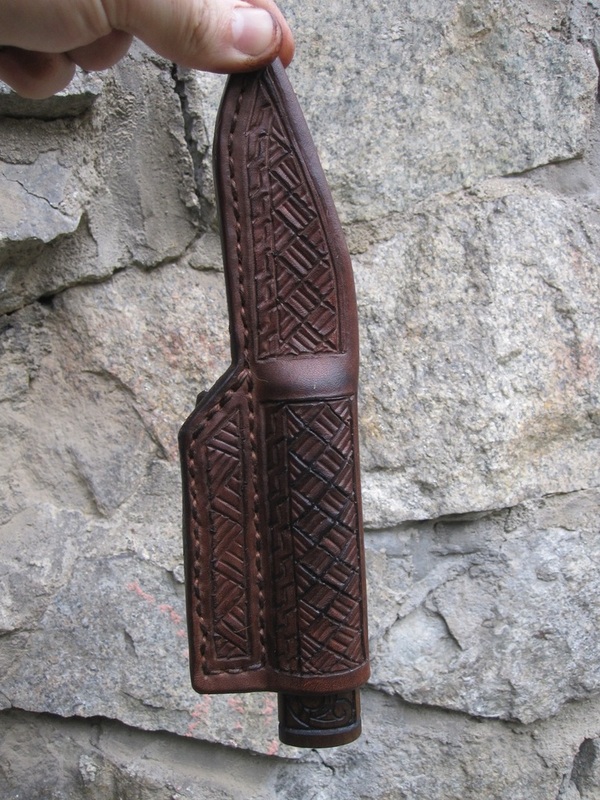 The handle is reindeer antler and cherry, carved in viking ringerike style. The blade lenght is 9,5cms, OAL is 21,8cms. 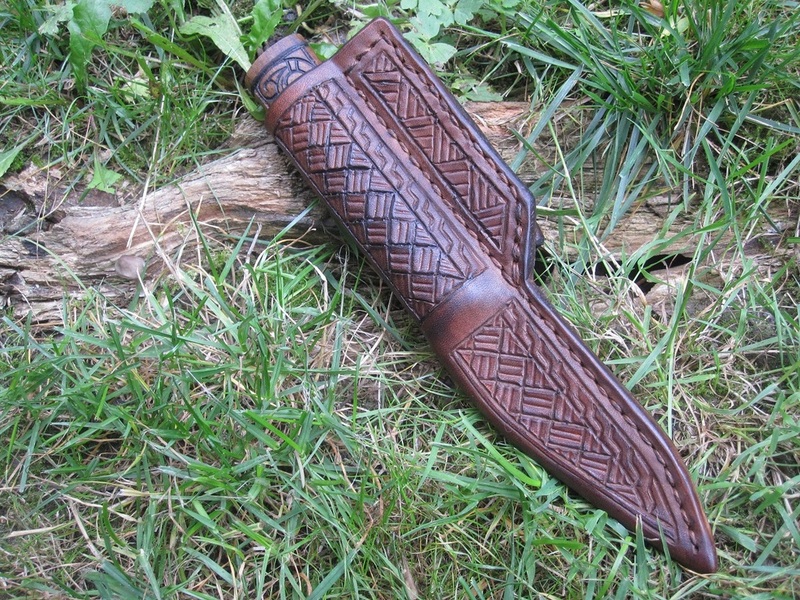 The sheath is 3-4mm thick cowhide, molded and decorated, with belt loops sewn on the back side. I´m asking 208USD / 187E for this one. 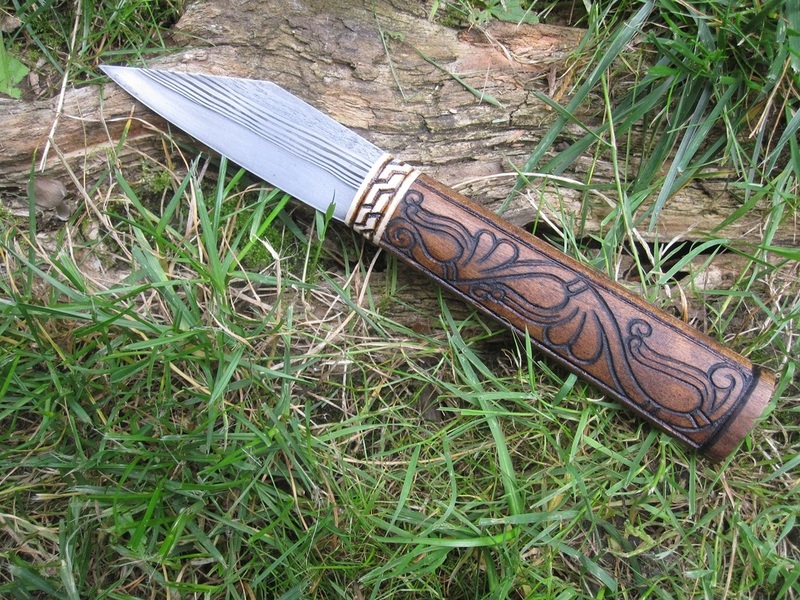 Just asking - Is this seax still on sale today? Hello Shahril! 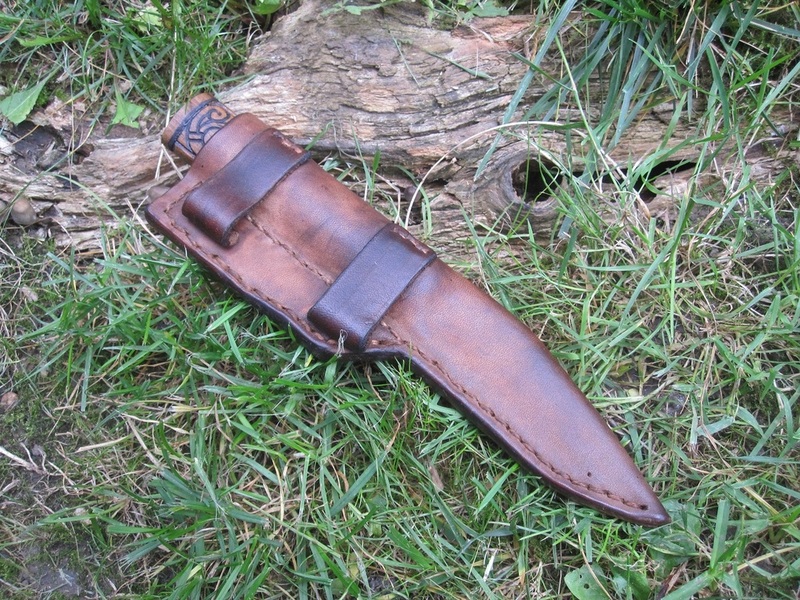 This one has been sold, but, if you´d like to, I can make you a similar one?